A macabre urban legend of love, betrayal, weed, gentrification, cannibalism, and survival of the fittest. After sixteen years in prison, the indomitable Dolores Roach returns to a New York City neighborhood that has changed drastically in her absence. Her boyfriend missing, her family long gone, Dolores is recognized only by an old stoner friend, Luis, who gives Dolores room and board and lets her give massages for cash in the basement apartment under his dilapidated empanada shop. When the promise of her newfound stability is quickly threatened, “Magic Hands Dolores” is driven to extremes to survive. 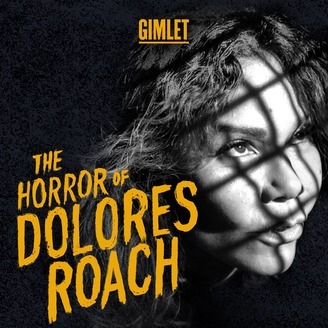 A new scripted fiction podcast, The Horror of Dolores Roach stars Daphne Rubin-Vega and Bobby Cannavale. Written by Aaron Mark. S**t goes down, cause that's what s**t does. Written and directed by Aaron Mark, executive produced by Mimi O’Donnell, produced by Katie Pastore, Matthew Boll and Daphne Rubin-Vega, associate produced by MR Daniel. Sound design by Haley Shaw, foley recording by Nico Osborne, mixed by Matthew Boll. Score by Allison Leyton-Brown, music production and mix by Matthew Boll and Bobby Lord, additional engineering by Sam Bair and Shachar Boussani, additional assistance by Daniel Brunelle and Armando Serrano. Special thanks to Kristen Luciani, Saul Nathan-Kazis, Jim Nicola, and Danny Feldman. 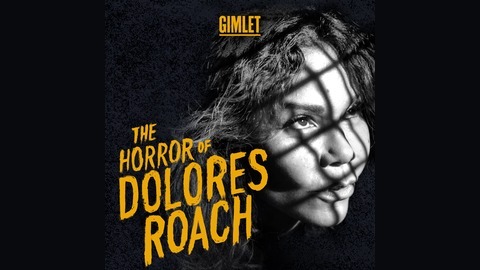 THE HORROR OF DOLORES ROACH is a production of Gimlet Media.